State Representative Dan Swanson announced he has received word that he will also be appointed to the Veterans Advisory Council by Leader Jim Durkin. Prior to his service in Springfield, Swanson enlisted in the Illinois Army National Guard on August 11, 1977 as a 63B Generator and Wheel Vehicle Mechanic. He was selected on March 1, 1980 to serve on an active duty tour with the Illinois Army National Guard. He attended Officer Candidate School at the Illinois Military Academy and commissioned a Second Lieutenant on June 14, 1986. He retired January 31, 2001 after 20 years Active Duty and over 3 years as a Traditional Guardsman. After watching the soldiers he trained through his military career go to war, he volunteered and was recalled to active duty on July 1, 2007, to serve with the Multi-National Security Transition Command – Iraq; Coalition Army Advisory Training Team, Baghdad, Iraq. He was assigned as Deputy Director, Iraqi Army Force Generation. He coordinated and synchronized the recruiting, training, equipping and basing Iraqi Army units with Coalition and Iraqi Leadership. He completed his tour June 25, 2008 and returned to retirement July 14, 2008. Dan earned the Bronze Star and Combat Action Badge. On April 3, 2010, Lieutenant Colonel Swanson was recalled to Active Duty to serve with the Army Sustainment Command (ASC), Rock Island Arsenal. He was assigned as Chief, Logistics Synchronization and Integration Cell for the Lead Materiel Integration (LMI) Mission. 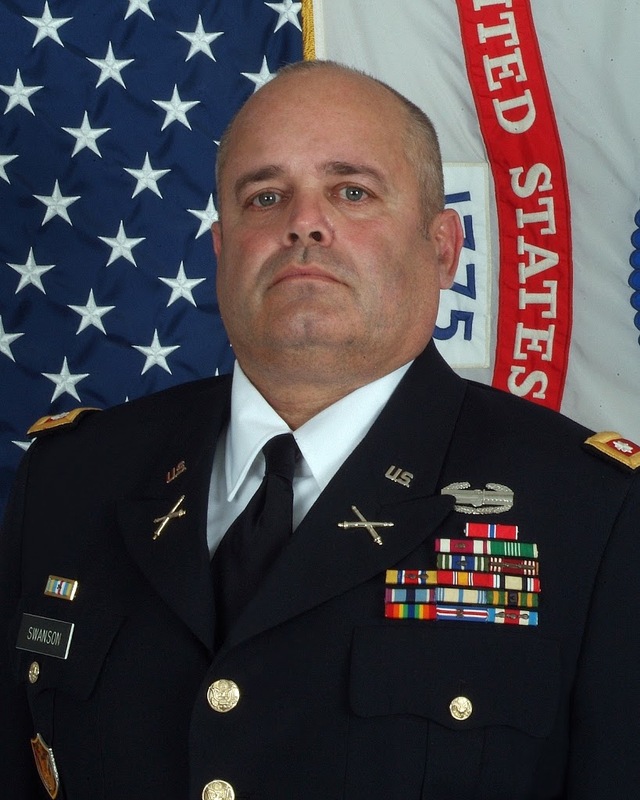 He led a team of soldiers and civilians, which transitioned the LMI mission to equip the Army from the Pentagon to ASC at cost savings and jobs. He returned to retirement April 2, 2013. He served as Superintendent, Henry County Veterans Assistance Commission providing financial aid and transportation services to Iowa City, Iowa Veterans Hospital for Henry County Veterans. From December 1 2013, to November 30, 2014, 16 volunteer drivers drove over 47,000 miles, made 219 trips to Iowa City VA Center and transported 667 veterans for medical care. He also provided financial assistance to veterans to assist paying utility, rent and purchase food.